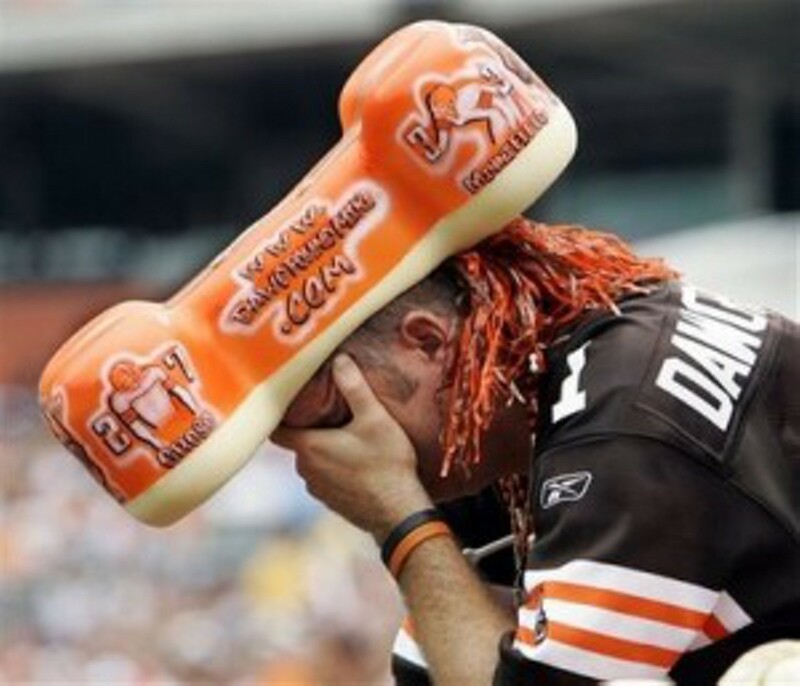 Cleveland Browns fans, brace yourself for this season. In a year that may be one of the most dreadful 16-game spans since the return of the franchise, the first-round pick the new regime just drafted has done nothing to better the franchise for the future. Corey Coleman, the 15th overall pick in the NFL Draft, has been added to the list of head-scratchers that the Browns seem to draft every year. Yes, Corey Coleman’s stats last year at Baylor were stunning. 74 Receptions, 1,363 Receiving Yards and 20 Touchdowns. That is not why I am frustrated once again with the team I love. I sit here and wonder “Why Was Corey Coleman The Guy?”. Was it just his stats or was it something else that stood out among other wideouts such as Laquon Treadwell, Will Fuller, and Josh Doctson? Maybe winning the Biletnikoff Award for Best Wide Receiver is a point the Cleveland Browns loved. I wonder if that is truly the case. If it is, I completely understand. Great players such as Larry Fitzgerald, Calvin Johnson and the recent breakout star Amari Cooper have all won the Biletnikoff Award. Other players to win the prestigious collegiate award are Mike Hass, Charles Rogers and Josh Reed. Even former Browns player Braylon Edwards won the award. So, what does this tell me about Coleman? He will either be one of the standout players in the NFL or out of the league as soon as he entered it. Draft Day is tough, which makes it hard to put so much pressure on one person who literally became the newest part of the franchise less than twenty four hours ago. It must be done though, as the Browns have had numerous chances to draft a superstar and fail every time. Let’s be honest here, the last successful first-round draft pick for the Browns came in 2007, when they drafted Left Tackle Joe Thomas. Nothing against Joe Thomas, but last time I checked, he couldn’t score touchdowns for me. So the Browns go and draft another questionable player. No worries though, those kind of picks always pan out. Right, Justin Gilbert? So here I am, hoping that Corey Coleman will become the guy that the Cleveland Browns want him to be. What can you expect out of Coleman, a 5’11” wide receiver? It’s hard to say. But when a team that saw what they were missing at the receiver position goes out and gets the same type of player, then I don’t know what to expect. Here’s to another Draft Day in Cleveland. The Cleveland Browns hold the 32nd pick tonight. What will they do with it? Only they know. Let’s just hope it’s someone good. I’m a dedicated diehard Browns fan since 1963. There is no team that is ever been ever able to do with the Cleveland Browns. Under prop Paul Brown the Browns are the only team that has went to 10 championships in a row consecutively. And no other team in history in NFL history has it ever did that again. The new browns under our brand-new coach into thousand 16, Is the best coast that we ever had. Because our very extensive experience coaching staff that was also selected with our new coach you can expect up a lot of different things. One thing we’re going to do is be able to throw and catch touchdowns because we , We have a bunch of new receivers with character and speed.and a championship mentality. We have a great coaching staff that will help us get back to where we’re going. And we have a owner that cares about winning today, and in the future. Our owner is a true winner.